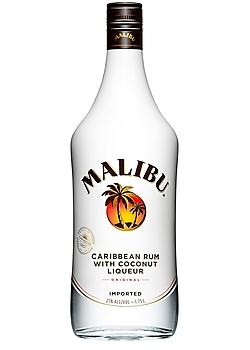 Made in the spirit of traditional Caribbean flavored rums, Malibu is the original coconut rum. Crafted at a beachside distillery in Barbados. The taste of Malibu is sunshine in a bottle. Smooth, fresh coconut flavor with a sweet finish. Perfect on its own or as a refreshing splash in any rum-based cocktail.